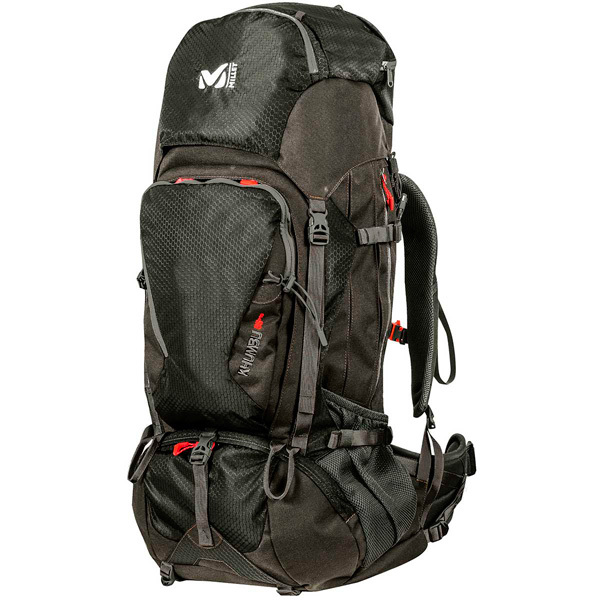 "The model KHUMBU of the mark MILLET is a trekking backpack with a capacity of 55 liters, modulable up to 65 liters. Its generous volume makes it ideal for hikes of long durations or long distances. Rugged design, it has a lot of storage and makes it easy to access your equipment and has beautiful finishes. This bag is also very comfortable to use thanks to its exclusive TCS system which allows to adjust the length of the back very easily, and to its straps and padded belts which will make you forget the load that you carry. - Materials: N 420 D Honey Comb and N 1000 D Kodura"